Instantly downloadable sheet music (Musiknoten zum herunterladen und ausdrucken) von Nan Allen for orchestra (Chamber) of MEDIUM skill level. Instantly downloadable sheet music (Musiknoten zum herunterladen und ausdrucken) von John Leavitt for orchestra (Chamber) of MEDIUM skill level. Instantly downloadable sheet music (Musiknoten zum herunterladen und ausdrucken) von Chiara Ferrau for orchestra (Chamber) of MEDIUM skill level. Instantly downloadable sheet music (Musiknoten zum herunterladen und ausdrucken) von Danny Elfman for orchestra (Chamber) of MEDIUM skill level. Instantly downloadable sheet music (Musiknoten zum herunterladen und ausdrucken) von John Purifoy for orchestra (Chamber) of MEDIUM skill level. Instantly downloadable sheet music (Musiknoten zum herunterladen und ausdrucken) von Edwin O. Excell for orchestra (Chamber) of MEDIUM skill level. Instantly downloadable sheet music (Musiknoten zum herunterladen und ausdrucken) von Leslie Bricusse for orchestra (Chamber) of MEDIUM skill level. Instantly downloadable sheet music (Musiknoten zum herunterladen und ausdrucken) von Bjorn Ulvaeus for orchestra (Chamber) of MEDIUM skill level. 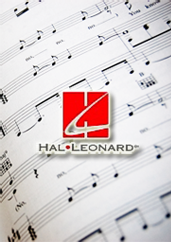 Instantly downloadable sheet music (Musiknoten zum herunterladen und ausdrucken) von Miscellaneous for orchestra (Chamber) of MEDIUM skill level. Instantly downloadable sheet music (Musiknoten zum herunterladen und ausdrucken) von Emile Louis for orchestra (Chamber) of MEDIUM skill level. Instantly downloadable sheet music (Musiknoten zum herunterladen und ausdrucken) von Scott Krippayne for orchestra (Chamber) of MEDIUM skill level. Instantly downloadable sheet music (Musiknoten zum herunterladen und ausdrucken) von Henry J. Gauntlett for orchestra (Chamber) of MEDIUM skill level. Instantly downloadable sheet music (Musiknoten zum herunterladen und ausdrucken) von Max Reger for orchestra (Chamber) of MEDIUM skill level.